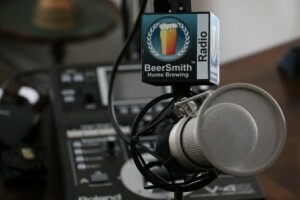 Today my guest is Marshall Schott, founder of the blog Brulosophy.com which is focused on homebrewing experiments with techniques and various ingredients. Marshall and his friends have posted the results of over 100 experiments in brewing, each evaluated with blind taste tests and statistical analysis. We discuss his blog Brulosophy.com which was started only in 2014 to document the experiments that he and his freinds have conducted. Marshall shares his methodology which involves brewing duplicate batches and varying only one item at a time, and then evaluating it with blind triangle tests to see if people can determine which beer is different. He then determines the confidence level based on the number of judges to see if he has a statistically significant result. Marshall describes some experiments he did with gelatin where he varied the amount of gelatin used. Surprisingly using too much gelatin resulted in a cloudier beer. He explains another experiment comparing loose hops to bagged hops during the boil. Surprisingly the panel of judges were able to tell the two beers apart and had a slight preference for the unbagged hops. In another experiment judges were also able to detect the difference between a glass-fermented beer and one fermented in a similar size PET plastic carboy. We were both quite shocked at that result. We spend some time discussing the results and potential causes of some of his surprising conclusions. Marshall explains another experiment comparing a step mash to a single infusion (one step) mash. He shares a few other experiments that gave him surprising results. We discuss briefly some of the water and mash pH experiments, and Marshall points out that almost all of his water experiments have produced significant results indicating the large importance of water and pH in beer. Marshall shares some new experiments he’s working on as well as how the team works together to get them done. Very interesting episode. I have started brewing this year and both Brad’s podcast and Brülosophy blog have been major references. I am very grateful for your efforts, hope both audiences grow and share! Especial thanks and congratulations to you, Brad, for bringing so many excellent guests in. Cheers, saúde! A question for Marshall: what is the paper you refer to during the podcast about saccharomyces pastorianus and saccharomyces carlsbergensis? Can you please share the link? Also, the paper that you are talking about from done between White Labs and a lab in Belgium has already been published: http://www.cell.com/cell/pdf/S0092-8674(16)31071-6.pdf (I think it is this one you are referring to). Cheers! Awesome interviews Brad!!! And I think Brulosophy is one of the best beer blogs out there!